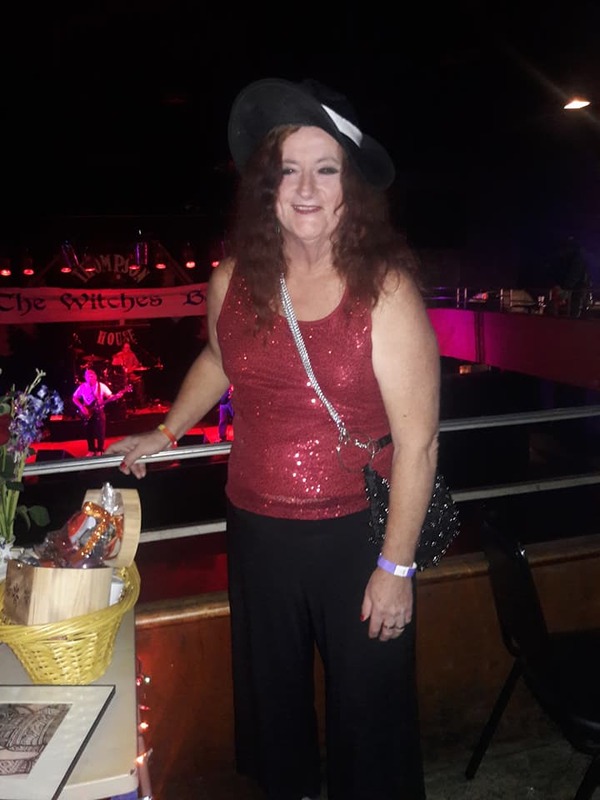 Well, the 15th Annual Cincinnati Witches Ball has come and gone, and of course it was a transgender woman's right to change her mind about a costume. Actually, I couldn't quite find what I wore last year, so I hurriedly threw together a costume that came a little closer to fitting the night's theme. 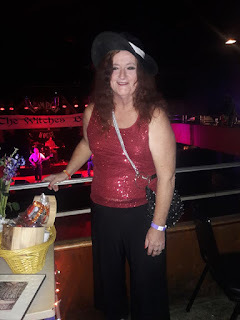 I found a sparkly sleeveless top (red) and paired it with my black wide gaucho pants and flats for comfort and topped it all off with a funky large fedora. For makeup, I used a light foundation, smokey eyes and dark red lipstick. I even did a fairly good job of painting my own nails a variation of red. The most interesting story of the night came early as I was helping dole out the appetizers and one of the young bartenders who I did not know came through to help distribute them throughout the venue. He said, "I thought you were a real woman." I said thanks and I am...a transgender woman. He just said "Oh." and went on about his business. I thought I was going to be in for a real interesting evening if it was starting like this. However, it calmed down quite a bit. Of course, I got quite a few looks and was spoken to many times but the fun of the evening came from the ones who really didn't know what gender I was. Plus I spent quite a bit of time chatting with a couple old acquaintances I hadn't seen for awhile. I will have a couple more posts about the event plus I do have a couple more pictures to pass along (no pun intended) too. So stick around Cyrsti's Condo.